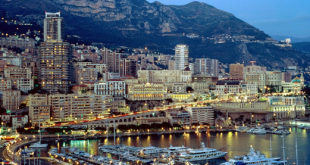 The closest airport to Monaco is Nice, just 20 kilometres away. A helicopter, taxi or a bus will take you straight to the Principality. A train is another option, but since you still need another form of transport to get to the station, it probably won’t save you any time or money. Nice Airport operates both domestic and international flights and it has two terminals. As a rule, international airlines use Terminal 1 (please check this information while booking to avoid finding yourself in the wrong terminal at the last moment). I love this airport for its small size. You will always see relaxed holidaymakers at the arrivals. You can take your time to enjoy a croissant at “Paul’s” and wander through the Hermès and Hediard boutiques after the security check. This is the fastest and most convenient way to reach the Principality, especially in the high season, if you are not afraid of these noisy little vehicles. Each Terminal at Nice Airport has a helicopter desk. Flights towards Monaco and back are scheduled every 30 minutes, from 8.45 am to 8.00 pm. You can book your flight on-line or come to the company’s stand after picking up your baggage. Your flight will only take 7 minutes, just enough to admire the sea and the views. The company MonacAir, for example, conveniently provides you with a free shuttle to and from your hotel or home in Monaco. The price is from 160 euros per person. Taxi stands are located directly outside the airport exit. This is a reliable, comfortable and rather expensive form of transport on the Riviera – 20 km to Monaco will cost you an average of 100 euros. Almost all drivers speak English and will gladly practise it with you. Have some cash ready, as most of them do not take credit cards. If you want to book a taxi in advance, please use an international system of booking and payment. You can choose the class of car and the driver will meet you with a sign. Bus № 110 runs every 30 minutes on the route Nice Airport – Monaco – Menton, starting from about 8 am to 9 pm. It only costs 20 euros and takes you to Monaco on a fast road in 30-40 minutes. You can buy tickets at the terminal exit. The driver will drop you off at your nearest bus stop in Monaco.